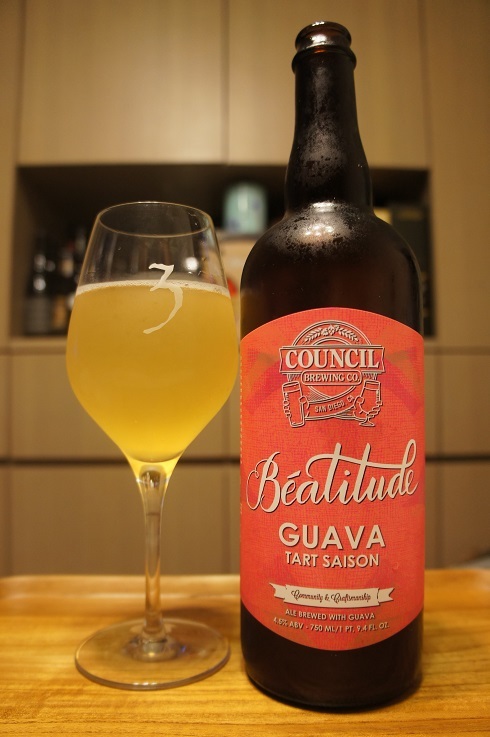 Brewer Description: (from bottle) Béatitude is the French word for bliss which is what we float away on whenever we enjoy this specially brewed beer. 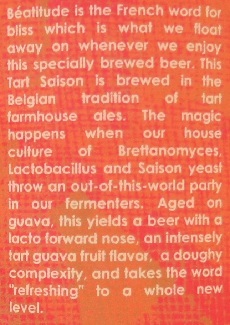 This Tart Saison is brewed in the Belgian tradition of tart farmhouse ales. The magic happens when our house culture of Brettanomyces, Lactobacillus and Saison yeast throw an out-of-this world party in our fermenters. 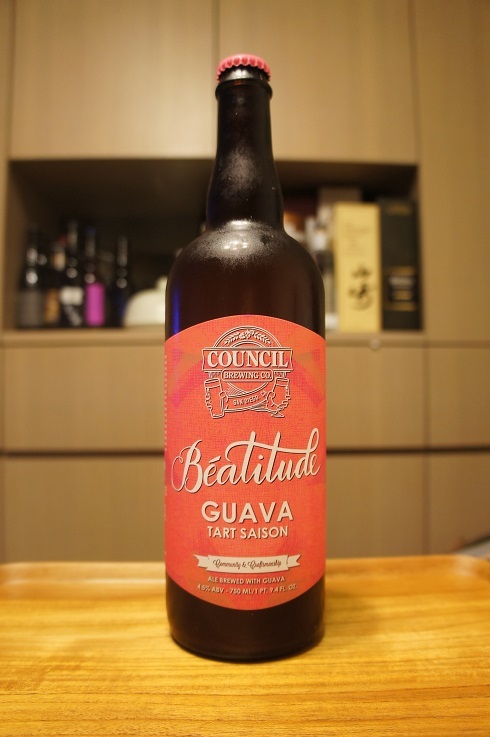 Aged on guava, this yields a beer with a lacto forward nose, an intensely tart guava fruit flavor, a doughy complexity, and takes the word “refreshing” to a whole new level. Appearance: A lightly hazy straw champagne gold colour with a one finger white head that dissipated fairly quickly to nothing, while leaving only some sparse spotty lacing. Aroma: Tart, guava, citric, lemon juice, dough and a nice funk throughout. Taste: Sour, tart, guava, lemon juice, passion fruit, and a light funk. Mouthfeel: Acidic, light bodied with moderate carbonation. Overall: Easy to drink with good guava flavours. A little bit acidic for my palate, but still enjoyable.